ESP There are 5 products. 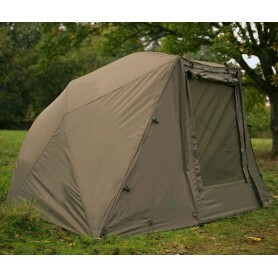 Supplied with a full size heavy duty groundsheet and two storm poles. 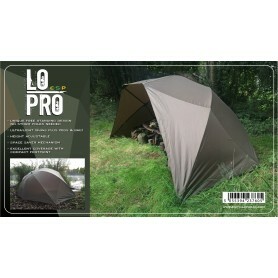 This full system brolly incorporates the same freestanding frame design as their defining Lo Pro, but naturally sits higher, is wider at the back and incorporates an integrated front and removable door. 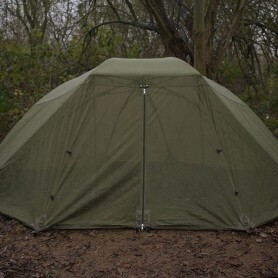 This allows your low profile brolly to be transformed with a second skin, providing warmth and minimising condensation. 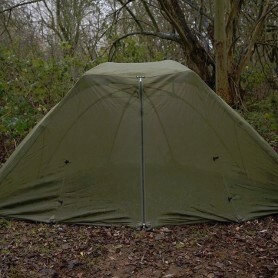 Perfect for hot summer months when you want a cool breeze in your shelter without the hassle of bugs and insects crawling around. This fits neatly onto the frame, and can be rolled up when not in use. Specifically created to fit the matching shelter.